Showing results for tags 'Species'. The Northern Pegasus is an offshoot of the Equestrian(Mainland) Pegasus, whose wings, over time, evolved to fly faster, due to co-evolution with the Northern Griffons. This evolution has caused the Northern Pegasus' wings to elongate and sharpen, and their forms to become more petite. With less mass, it is easier for the wings to pick up speed, even at low altitudes. Their maximum velocity can near that of the Sonic Rainboom, albeit this can only be reached in extremely high altitudes(nearing the upper atmosphere), where this kind of flight cannot be maintained for long, or else it is a risk for the pony's life. This extreme speed has created a culture built around being the fastest (Rainbow Dash's idea of heaven? ), with constant tournaments, and challenges of speed and endurance. It seems that these pegasi were bred to race. 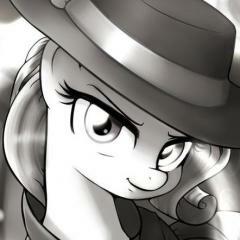 Hey, everypony, and site admins(who I'm aiming this thread at). Pinstripe here, with an idea for a new species for use in Canterlot Chronicles, or WoE. The point of this thread is to see if people like the idea of a falcon-like pegasus, instead of the normal, what I assume to be "eagle-like" pegasus. If you have any ideas for improving this species, please feel free to post! I'm always up for constructive criticism. But you do have the wild, wonderful worlds of Crossovers (which TECHNICALLY this could be a crossover with MLP G1) and Free-For-All. Also. don't forget the Windy Wing and Summerwing ponies BUT, one MAJOR issue with the flutter ponies, at least, had a magical sparkly secret weapon called "utter flutter" where they batted their wings and, basically fairy dust came out of them, and there's weirdness with them being some magical ancient race and reproducing in a bizarre way, and living in a valley hidden from the rest of the ponies. Pegasus + mild unicorn-like magic. At least in g1. No idea how they'd tackle it now. But actually, Tales, this brings up a MIGHTY grey area. What about Ploomette? Regular pony with fancy wing extensions? In her box art she's a regular pegasus. Can we fudge the appearance of Flutter Ponies with either wing extensions, or just a weird fashion choice where normal earth ponies (or even unicorns, because then someone of them might have levitation powers strong enough to get themselves aloft for periods of time) just wear these weird gauzy wings? It could even be that it's a Pegasus with illusory magic performed on their wings, but I think that might require them to have unicorn friend to keep up the appearance, which might bring in a "vain vileness who exploits unicorns" edge that might not be board appropriate. I did attempt to bypass the Twinkle-Eye Ban by just making them weird gemstone goggles and that seemed to work without too many troubles from anyone, but I am not sure how much mundane solutions to these kinds of questions flies these days.